Sight fishing is one of the primary methods used to fish the inshore saltwater waterways in coastal Florida. With good weather conditions, one can expect to see, watch, and cast to the fish they hope to catch. Just as you would find in the Florida Keys and the Bahamas with bonefish, Capt. Nathaniel's keen eye scours the water searching for moving, feeding, or laid up fish. When sight fishing Capt. Nathaniel will be searching for clues to locate fish. 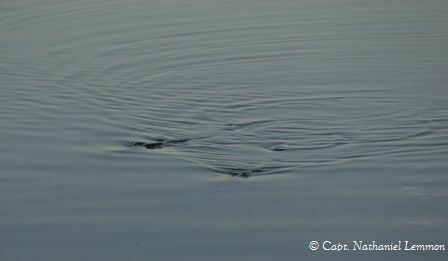 These eye grabbing hints are often "wakes" created by moving fish and/or "boils" created by a feeding fish. Many other times they are simply "laid up" fish who are sitting motionless in the water column. Like a scope on a hunting rifle, quality sunglasses give you an advantage in sight fishing. A quality set of polarized sunglasses are an important tool that allows you to look into the water to see the fish. The Mosquito Lagoon and Indian River Lagoon are famous for their sight fishing opportunities. Redfish and Black Drum found in the Mosquito Lagoon or Indian River will often be seen “tailing” for food buried in sea grass or laid up in sand sloughs. During summer and fall you will find Lagoon redfish"crawling" down shorelines with some of their body exposed above the surface. The Indian River Lagoon and Mosquito Lagoon also offers anglers a rare chance to sight fish trophy size bull redfish on deeper flats throughout the entire year. 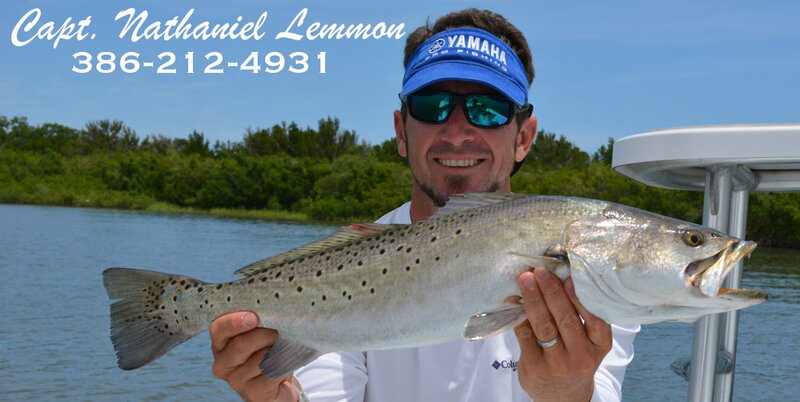 During the winter and early spring in the Mosquito Lagoon and Indian River, trophy size "gator" speckled trout in the 7-12+ pound range can be found laid up in shallow sand areas presenting some of the toughest sight fishing challenges in saltwater. In areas around New Smyrna Beach and Ponce Inlet we will find sight fishing opportunities for snook and tarpon, in addition to redfish and spotted sea trout. During the winter months we will sight fish for snook in New Smyrna Beach laid up on shorelines of deep creeks, sloughs, channels and under docks warming themselves from the cold. Occasionally you may find laid up tarpon to sight fish during the summer months; however it's more common for us to sight fish tarpon rolling in creeks, channels, and basins closer to Ponce Inlet. New Smyrna Beach and Ponce Inlet have many creeks full of oyster beds which will have redfish and speckled trout on top of or near by. Docks and bridges in the New Smyrna Beach area are also home to many sheepshead and black drum which can be frequently sight casted.